Steven (Chicagoland, United States) on 1 June 2010 in Architecture and Portfolio. View through the "well past bloomed stage" cherry trees of the Jefferson Memorial in Washington, DC looking over the tidal basin. The current site of the Memorial was originally created using landfill dredged from the Potomac River in the late 1800s. It became a popular bathing beach for Washingtonians and other locals. A really nice "natural" frame here... lovely ! Great frame . 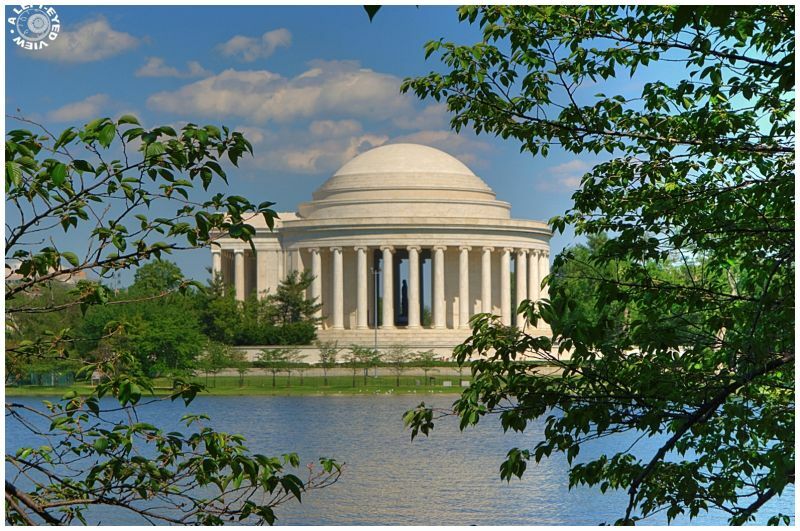 Beautifully looking Jefferson Memorial ! Superb photo. Light and colours are very beautiful. Excellent word Steven. The fourth nestling is hatched well. Nowadays, in the nest, there are four splendid nestlings. This evening, if I' ve the time, I am going to try to make a photograph. Amicably Antoine. Again a postcard perfect shot. Absolutely stunning. I actually left this on my screen to look at it longer. Clarity and color are beautiful.